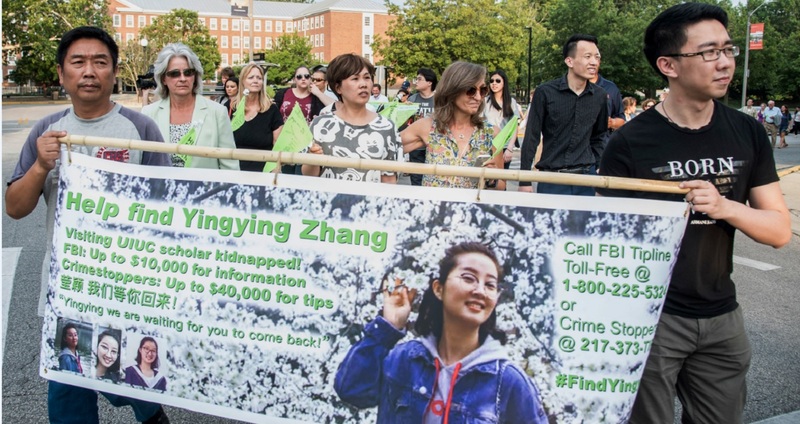 Yingying Zhang's father Ronggao Zhang, left, and her friend Xiaolin Hou carry the banner as community members join together to walk for Yingying, a Chinese scholar who went missing three weeks ago, Thursday, June 29, 2017, in Urbana, Ill.
A man has been charged with kidnapping a visiting University of Illinois scholar from China who authorities believe to be dead after she disappeared three weeks ago. 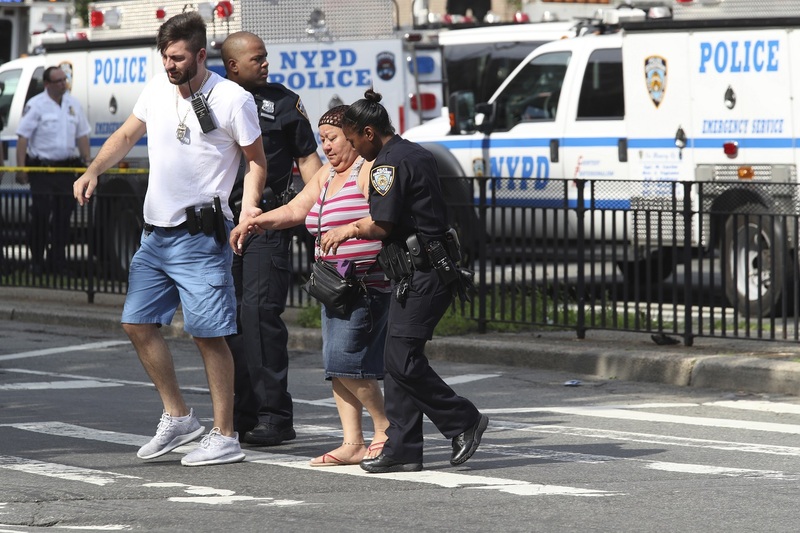 A federal criminal complaint alleges the suspect's phone was used to visit an online forum in April called "Abduction 101." Yingying Zhang, the 26-year-old daughter of a working-class factory driver from China, disappeared June 9, just weeks after arriving at the Urbana-Champaign campus in central Illinois where she was doing research in agricultural sciences and was expected to begin work on her doctorate in the fall. Friends and family described her as extremely bright, hardworking, caring and devoted to her parents. According to the 10-page affidavit filed in federal court by FBI Special Agent Anthony Manganaro, Christensen was under surveillance Thursday when agents overheard him explaining he had kidnapped Zhang. Authorities say agents believe Zhang is no longer alived based on that and other facts their investigation uncovered. Zhang graduated last year with a master's degree in environmental engineering from one of China's elite schools, Peking University Shenzhen Graduate School. She had been doing research on crop photosynthesis, which included using drones to study fields. Friends and family said she dreamed of one day landing a professorship and helping her parents financially.